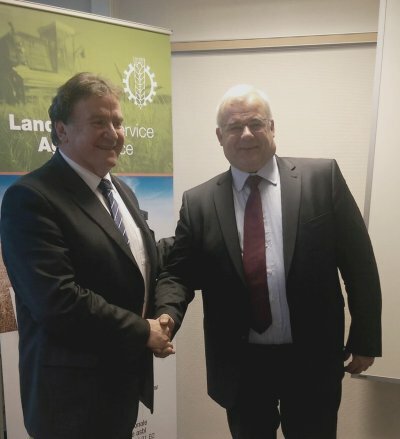 On 20 November 2015, the member organisations of the European confederation of agricultural, rural and forestry contractors elected Klaus Pentzlin as the new president of the association. Already vice-president of CEETTAR and president of BLU (Bundesverband Lohnunternehmen, Germany), he replaces Gerard Napias, president of CEETTAR since 2008, also president of FNEDT (FÃ©dÃ©ration Nationale des Entrepreneurs Des Territoires, France). In the same vote, Simo Jaakkola (Koneyrittajien Liitto, Finland), Bent-Juul Jorgensen (DM&E, Denmark), Michiel Pouwels (CUMELA, The Netherlands), Laure Toulouse (FNEDT, France) and Johan Van Bosch (Landbouwservice - Agroservice, Belgium) were elected in the Management Committee. From the previous list of members of this committee, both Gerard Napias and Jan Maris (CUMELA, The Netherlands) were not candidates. Following the vote, Klaus Pentzlin thanked Gerard Napias and Jan Maris, on behalf of all the organizations, for their long-standing commitment and genuine enthusiasm to defend all European entrepreneurs. He insisted on the ambitious actions taken in the recent years that led to the recognition of the organization by the European institutions. He added "thanks to your commitment, CEETTAR also became the home of both agricultural and forestry contractors. This logical and welcomed development will allow the new elected representatives to have a greater weight on European policies."